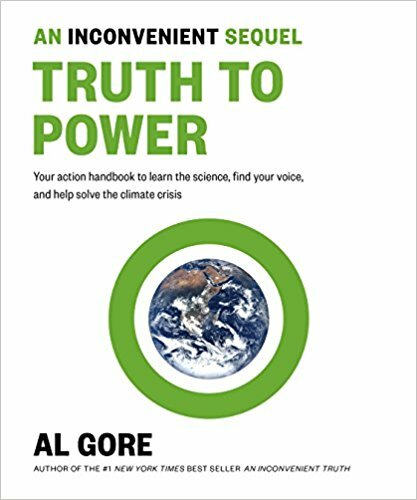 AN INCONVENIENT SEQUEL: TRUTH TO POWER - YOUR ACTION HANDBOOK TO LEARN THE SCIENCE, FIND YOUR VOICE, AND HELP SOLVE THE CLIMATE CRISIS is a must-have for those who care about our planet. Although proving without a doubt that there is a crisis, the reader is left with hope and the knowledge of what to do to save the earth. 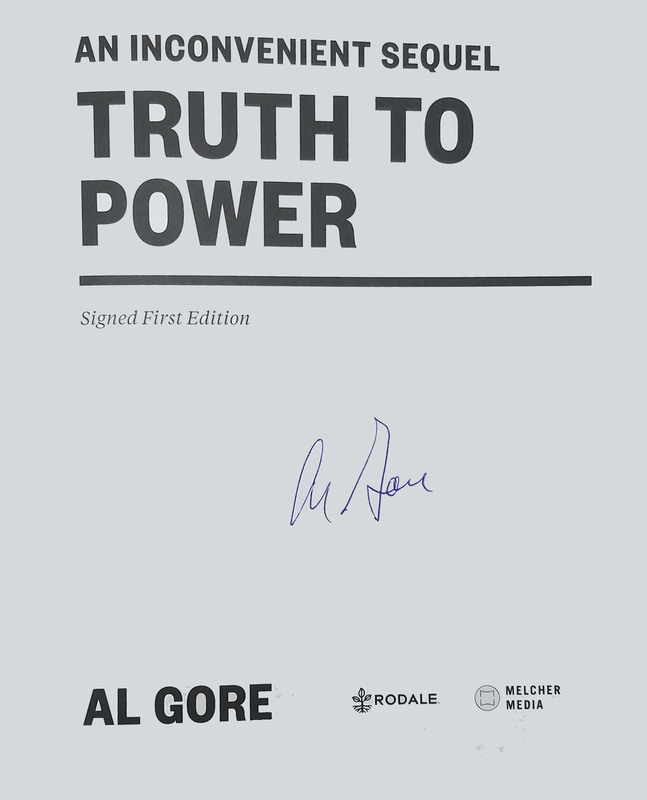 THIS COPY (shown below) was signed by Al Gore on a page that was bound into the book. It is a new, unread softcover first edition opened only for signing. Published in July, 2017 by Rodale and distributed by Macmillan. AL GORE (pictured below from our Wall of Fame) Served as Vice-President of the United States and is a co-recipient of the Nobel Peace Prize. He has published three best-selling books and been involved in two documentaries on climate crisis. 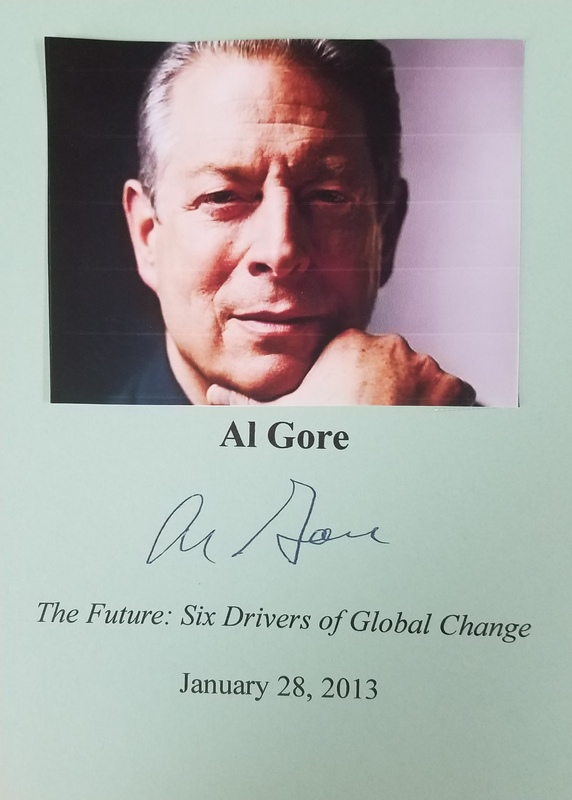 Thank you Al Gore for signing our books.